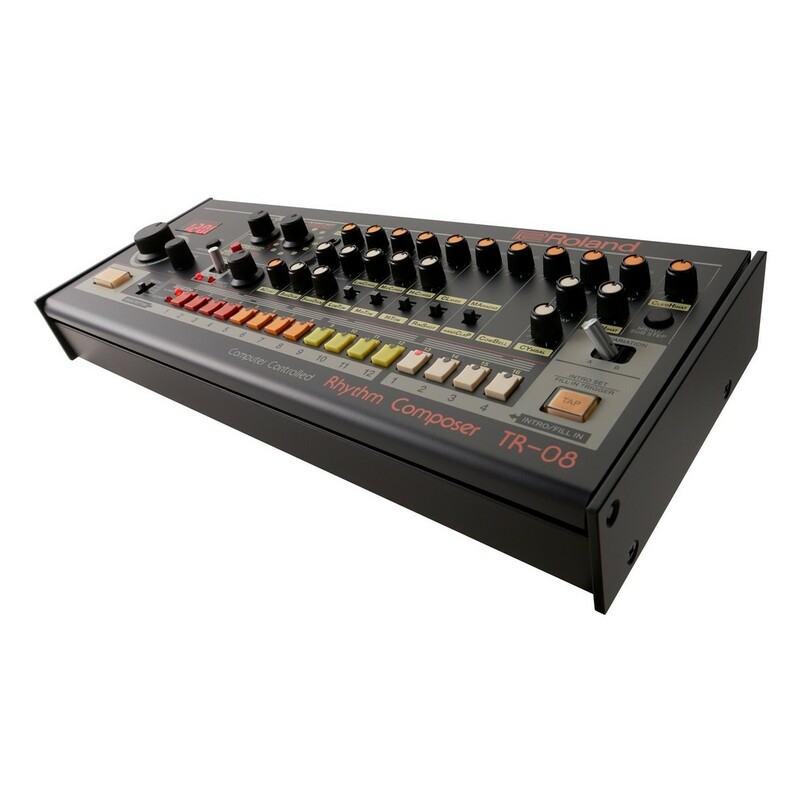 The Roland TR-08 Rhythm Composer brings the addictive tone and qualities of the legendary TR-808 drum machine to the present day in an intuitive, affordable format. Crafted with extreme precision to perfectly replicate the drum machine that sculpted so many musical styles, the TR-08 packs the incredible sound, character, and original user interface into an ultra-compact configuration. Equipped with a 16-step sequencer for innovative patterns, the Roland TR-08 Rhythm Composer also gives you complete hands-on control over parameters such as tone, tuning, level, decay, plus some newly added parameters for selected instruments. The Roland TR-08 puts a truly mythical instrument in your hands, giving you complete control and freedom to explore a sound like no other. The TR-08 is based on the revered TR-808 drum machine, which was first released in 1980 and discontinued in 1983. Up until now, acquiring a true Roland TR-808 would have cost you rather a large sum of money, however the TR-08 changes everything. This incredibly powerful drum machine delivers an incredibly precise replica of the original instrument. Featuring all of the same astounding sonic characteristics and quirks of the original, the TR-08 packs an identical reproduction of the 808's interface with complete authenticity into a scaled-down format. Don't let the compact size deceive you though, the Roland TR-08 Rhythm Composer features everything the TR-808 could do, and more. Take control of the authentic knobs, buttons, and switches, and unleash the power one of the most distinctive and unique drum machines in the history of music. 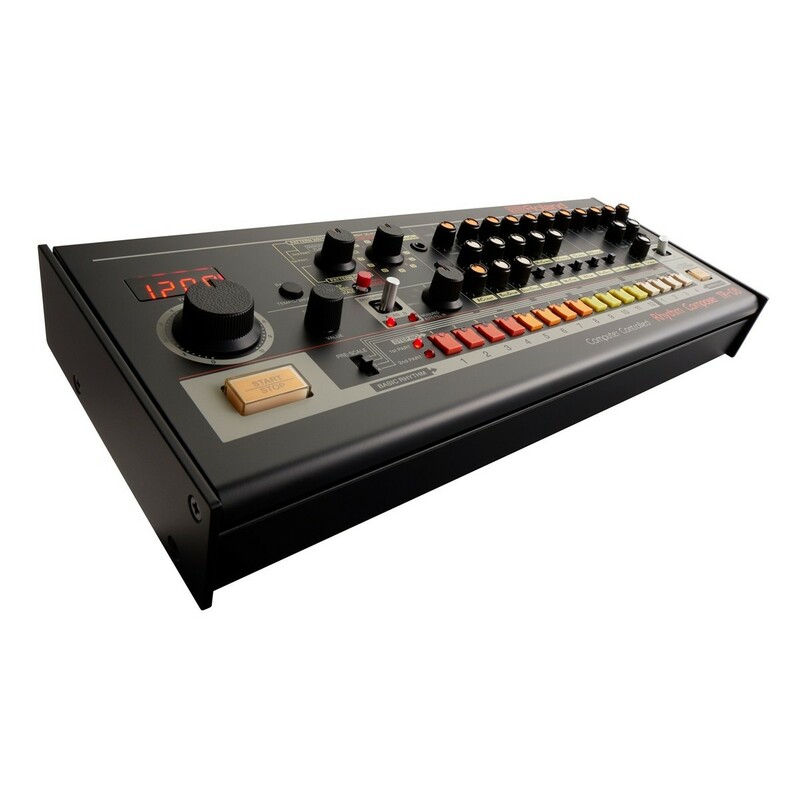 Roland's innovative ACB technology enables the TR-08 to perfectly recreate the sound of the original drum machine by being able to accurately model each analog circuit, right down to the component level. That means that not only does the TR-08 look authentic, but the sound and response of this intuitive, modern reproduction is identical to that of its bigger brother. ACB technology faithfully captures the sound and feel of Roland's classic instruments using the original design specifications. A detailed, part-by-part analysis of the original machines enables Roland to recreate the circuits perfectly to deliver the same incredible sonic characteristics that made the originals great, but in a modern and intelligent format. 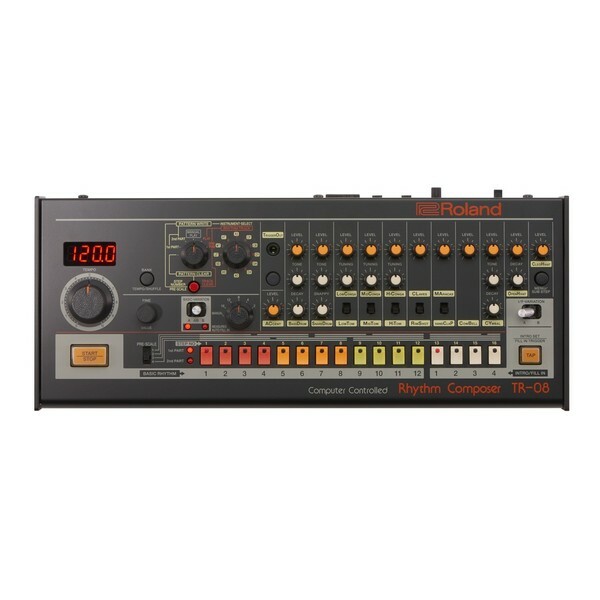 The Roland TR-08 Rhythm Composer is designed to provide simple yet powerful connectivity with its range of multi-purpose outputs. The outputs include a main stereo mini-jack output which can be configured to send the selected instrument to the right channel, while the other instrument's output can be sent to the left. The USB and MIDI ports allow for syncing and controlling other gear as well as connection with your DAW. Mix input and trigger output can also be reconfigured to route external audio and even drive vintage analog synths, enabling you to harness a broader scope of audio possibilities whilst working with your TR-08.